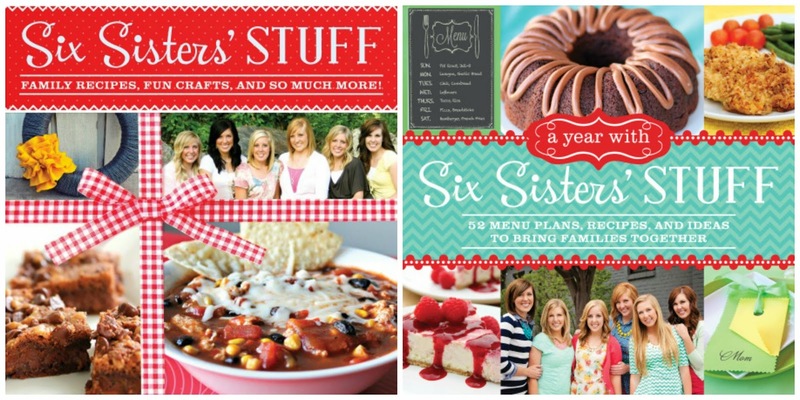 Those popular sisters from Six Sisters' STUFF have recently released their second cookbook, A Year with Six Sisters' STUFF. If you're a fan of the family's blog or enjoyed their first cookbook, you'll want to add this book to your collection as well. Sitting down to eat as a family is one of the most important themes that runs throughout the Six Sisters' STUFF blog. This cookbook expands on that theme with this simplified layout - 52 menus to inspire readers to cook a three-course meal at least once a week for the entire year. All of the recipes are geared towards the home cook and are perfect for beginners. While I would probably mix and match a few of the recipes, I did find several menu ideas that included three recipes that I loved together. If you're busy like me and have simply run out of ideas for meals, you will be able to find inspiration in A Year with Six Sisters' STUFF. Each recipe features a full-page, full-color photo that will have you planning your own menu for the week. If you would like to add this cookbook to your collection, enter the giveaway below for a chance to win a free copy. The widget may take a few moments to load. Good luck!